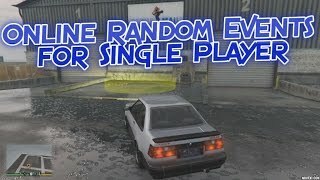 Adds random events to single player that are inspired by those from online. 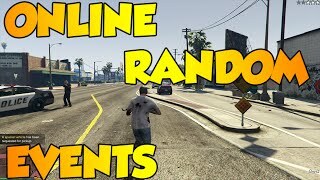 -Install Script Hook by Alexander Blade then drag the "OnlineEvents.asi" and "OnlineEvents.ini" files into the GTA V directory. -The type of event is picked at random. 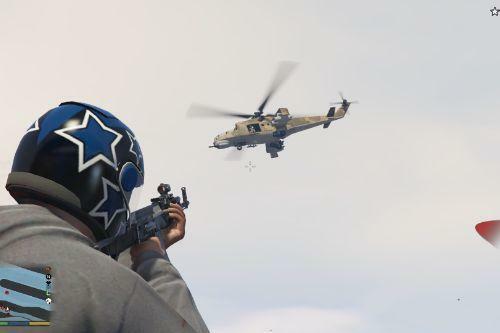 -Events include crate drops, armored trucks, assassinations, smuggler vehicles, and special vehicles. All events include several variations that are also picked at random. -By default, you will have ~7 minutes (real world) to start the event if you choose to do so. -By default, there is a ~5 minute cool down between events until the next event. -Events are marked with appropriate blips on the map. -You are notified of events starting/ending above the radar, along with a beep sound. -By editing the .ini file you can change times for events, and disable beep sounds. 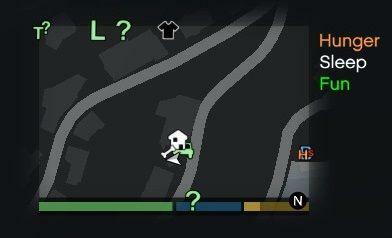 -Crates with various contents will drop around the map. -Crates are guarded by armed smugglers looking to have the crate for themselves. -Upon finding the crate you can pick it up to receive loot. 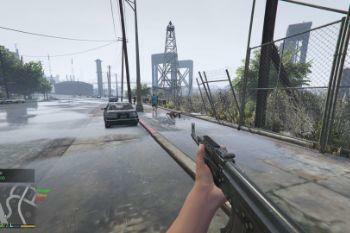 -Loot will consist of an amount of money and a weapon. -With each crate drop you have a 1 in 25 chance of a special crate drop which includes higher quality loot. 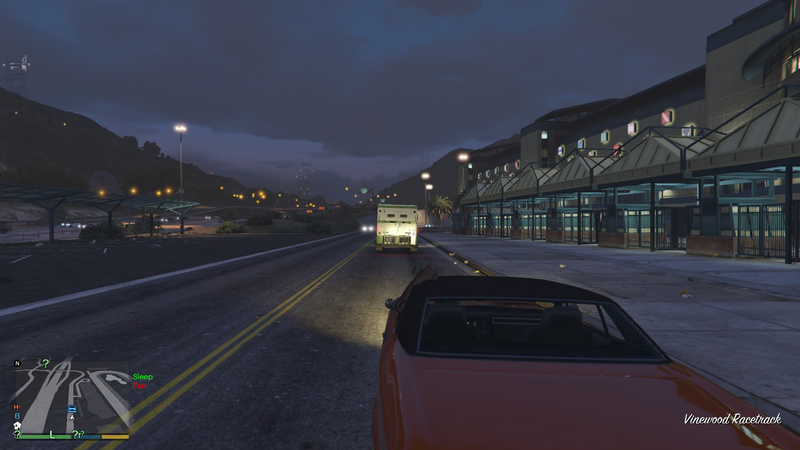 -Armored trucks will travel around the map. -If you decide to go hunt one down, you will need to blow the back doors by using a sticky bomb, etc. 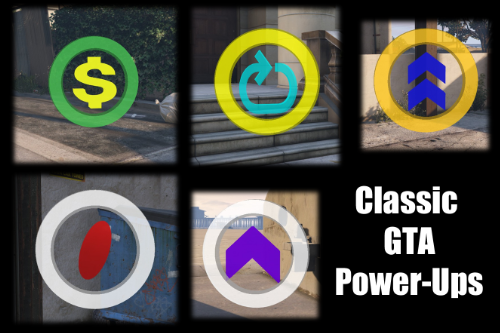 -Upon blowing the doors a random amount of cash cases will drop for you to then pick up. 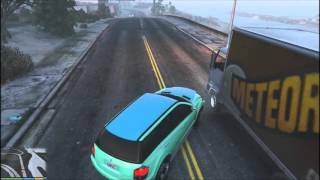 -Blowing the doors of a armored truck will give you a 3 star wanted level. -A random NPC will have a hit placed on them. 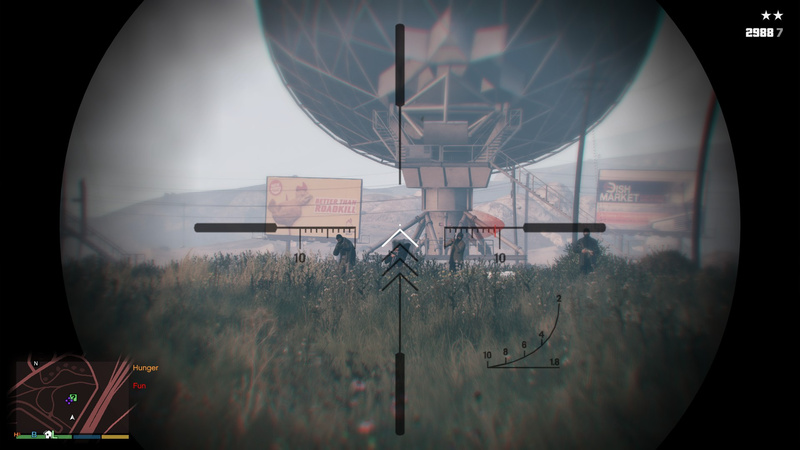 -You must go and find that NPC and kill them. -Upon killing the NPC you will receive money for completing the hit. 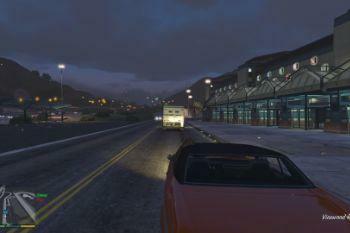 -Smuggler vehicles are marked vehicles that are known to be used by smugglers. 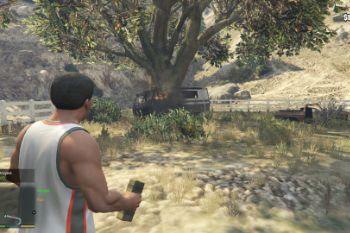 -You must find the vehicle and destroy it to prevent the smugglers from continuing to use it. 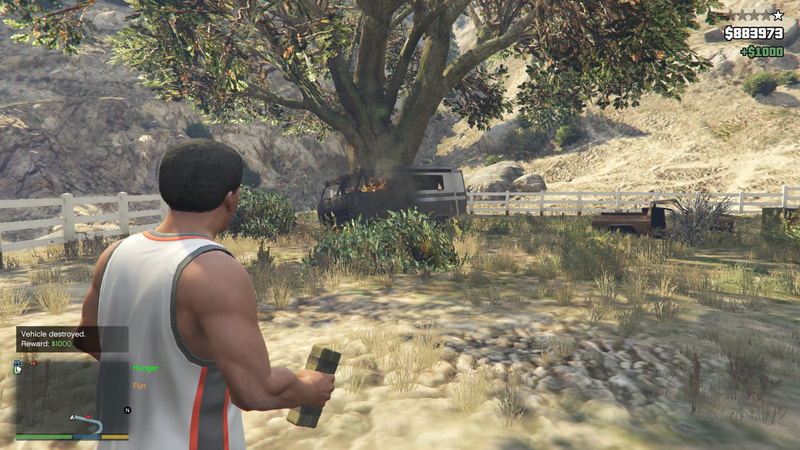 -Upon destroying the vehicle you will receive money for doing so. -Special vehicles are marked vehicles that have been requested to be stolen. -You must find them and steal them. 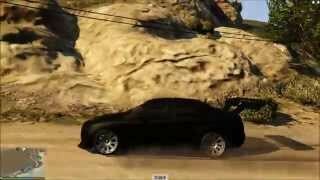 -Upon stealing a special vehicle you will gain a 2 star wanted level. -Before turning the vehicle in you must respray it a different color to prevent the police from noticing it. 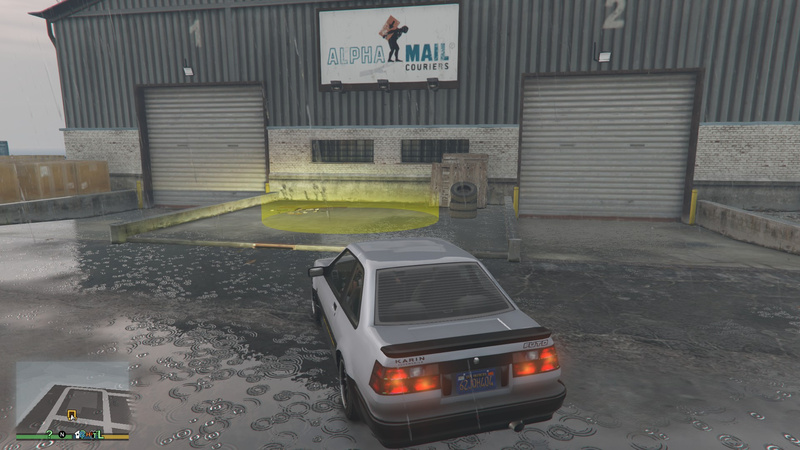 -After respraying the vehicle you must drive it down to the docks to turn it in for a money reward. -The armored trucks doors must be open completely (Open fully on the hinge) for money to fall out of the truck. This means it will take a few seconds for cash to drop sometimes. -If you use a different time duration for your game, mission times will change (Times mentioned above are for a normal time duration). You can fix this by going in the .ini file and changing the times for events. If you freeze the game time you will not get any random events. It is much better and it is still being updated. It has fixed all of the bugs and issues that plague this old version. Enjoy! Will you add new actives?? 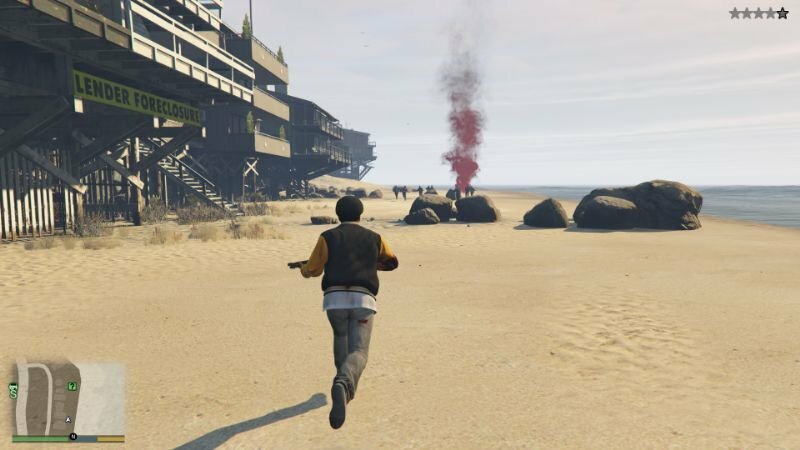 Can i make a folder in gta v direc and put it in there?? 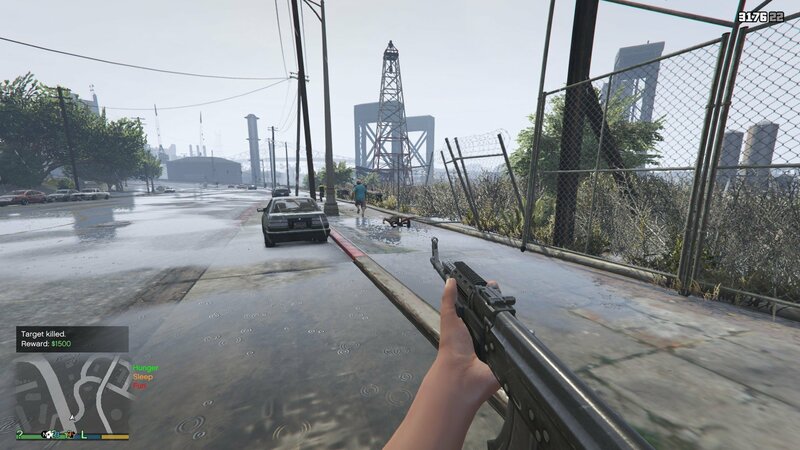 can confirm this is still working on gtav updated 2018.
though i've only completed 1 mission so far the second one was not so complete! 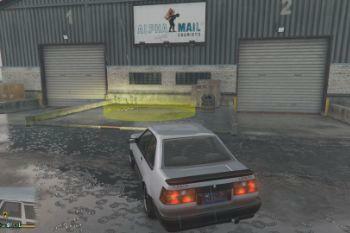 I could not blow up the parked smugglers car no matter haw many sticky bombs i tried. 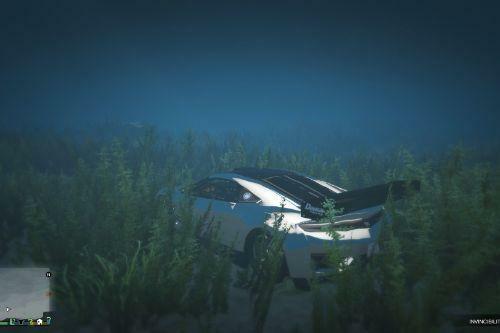 as this is no longer supported I guess there's no point in asking for solutions however I did see someone has created a enhance version of this mod but that crashed the game on start? so guess I'm back looking for a replacement online event mod :( bummer. @Evilfear found what I was looking at :) not quite the same, but here. @CitizenSmith oh great thank you buddy! hi dude , cheers for the recommendation. Which do you think is better/ more reliable? This one or the redux one? Apparently the redux has crashes reading the comments? @littlefilms I think the first one but if you have a gaming machine that can handle graphics ect' then maybe you will be ok with the other one, either way its good to test if you have the time. I run Redux graphics mod and my machine is nothing special and it works well with rehade setup options are good so I thought I could run that mod but it crashed for me as well, might be a setting problem! who knows? 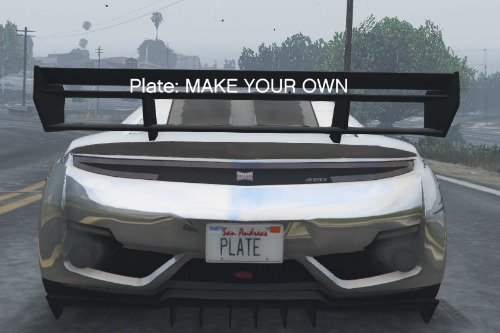 nice mod but the payouts are terrible is there a way to make them custom\? Love this mod. Makes the game much more fun. 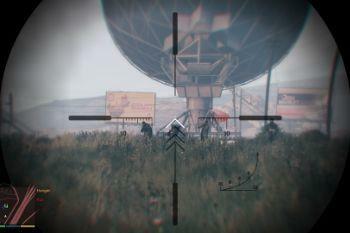 One thing I noticed when collecting a crate is the gangs surrounding the crate end up all shooting and killing each other if you snipe from a distance? Also any chance of adding more / new MP challenges? 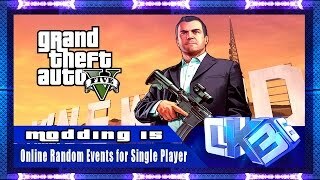 @HarleyQuinnSquad You do realize it's going on a year since online-events-redux has been updated? Last comment by the Author Oct 10th 2017. Tic Toc Tic Toc. Great mod, does it still work correctly with the latest Feb 2019 update?